If tax season weren’t already frustrating, the partial government shutdown may cause some hair-pulling issues for taxpayers trying to file their federal tax returns. Some Very Good Advice: File As Early As You Can! If you were hoping the shutdown would push back the deadline for filing your return, sorry to tell you that it won’t. The Internal Revenue Service said it started to process tax returns on Jan. 28. The deadline to submit 2018 tax returns is April 15 for most taxpayers. Residents in Maine and Massachusetts get two extra days to file because of the April 15 Patriots’ Day holiday in those states. The additional time is also the result of Emancipation Day in the District of Columbia, which falls on April 16. District residents still have to file by April 15. “Because D.C. holidays have an impact on deadlines elsewhere, that fact pushes the deadline for residents of Maine and Massachusetts to Wednesday, April 17,” IRS spokesman Eric Smith said. 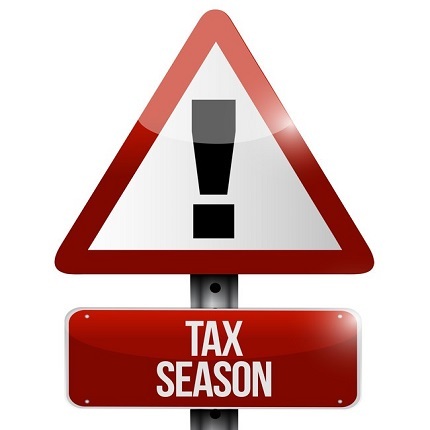 This year may prove to be a difficult tax season because of many changes to the tax code. Major tax changes enacted in 2017 could mean some workers might not have had their employers withhold enough from their paychecks. “Among other reforms, the new law changed the tax rates and brackets, increased the standard deduction, removed personal exemptions and limited or discontinued certain deductions,” the IRS said in a taxpayer alert last year. We have a pay-as-you-go tax system. As a wage earner, you are required to pay federal income tax by having it withheld from your pay throughout the year. The amount is based on the number of allowances you claim on your W-4. Allowances are based on your anticipated tax deductions (mortgage interest, charitable gifts, deductible medical expenses, etc.). If your tax situation changes — you get married, have a child or purchase a home — you should fill out a new W-4 form. Your goal should not be to get a big refund from the federal government year after year. If this is your tax strategy, you’ll just be allowing the federal government to hold on to your money interest-free. But here’s some good news. The IRS says it is waiving the estimated tax penalty for many taxpayers who paid at least 85 percent of their total tax liability during the year through federal income tax withholding, quarterly estimated tax payments or a combination of the two. The usual percentage threshold is 90 percent to avoid a penalty. — Standard Deduction Increased: For individuals and married couples filing separately, deductions increased from $6,350 to $12,000. The deductions for heads of household went from $9,350 to $18,000, and for married couples filing jointly, it went from $12,700 to $24,000. — Personal Exemption: It is gone, replaced with a higher standard deduction. It was worth $4,050 in 2017. — Child Tax Credit: It has doubled to $2,000 per qualifying child under age 17. — Deduction For State And Local Taxes (SALT): Limited to a total of $10,000. The IRS says the agency will work hard to get people their refunds, the government shutdown notwithstanding. The quickest way to get your refund is to file electronically and have your money directly deposited into your bank account. Should you need help navigating the tax changes, keep in mind that many IRS workers will still be catching up from a 35-day shutdown. So pack your patience.